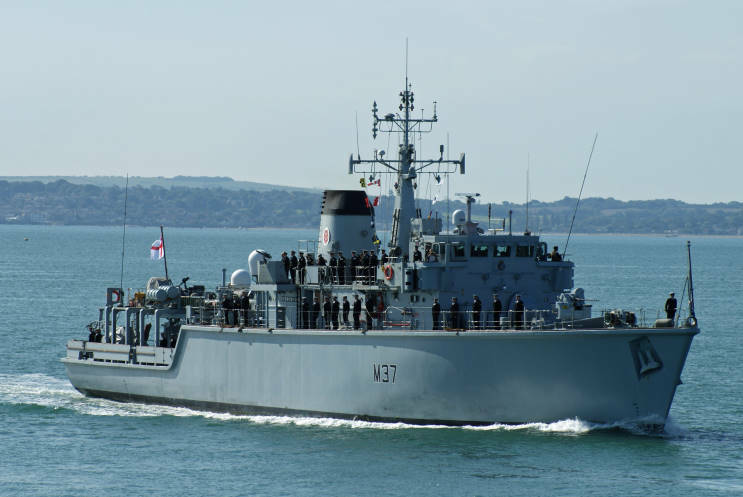 August 18, 2011: HMS Chiddingfold M-37 seen off Portsmouth, England. 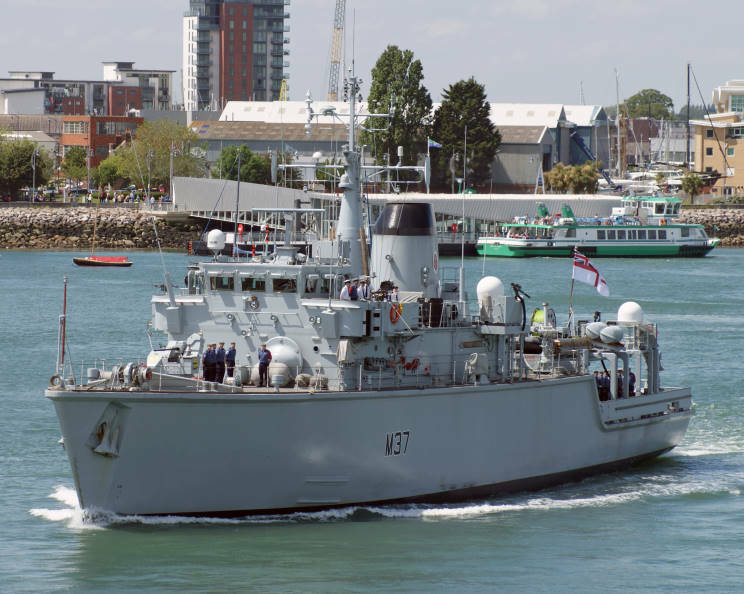 June 10, 2014: HMS Chiddingfold M-37 seen departing Portsmouth, England for deployment in the Persian Gulf. 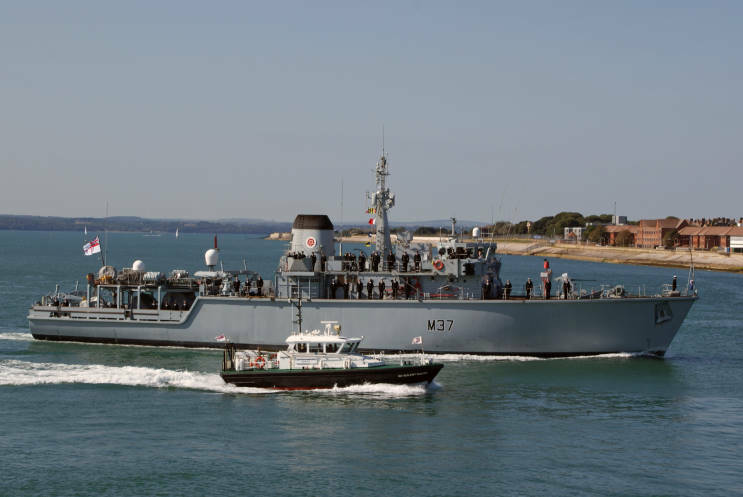 September 1, 2017: HMS Chiddingfold M-37 seen arriving at Portsmouth, England following deployment in the Persian Gulf. 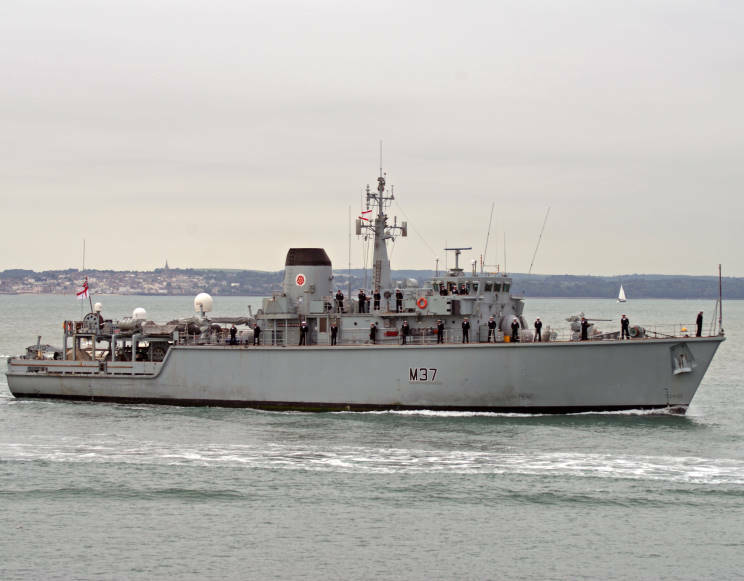 September 1, 2017: HMS Chiddingfold M-37 seen arriving at Portsmouth, England following deployment in the Persian Gulf. The pilot boat SD Solent Racer is seen alongside.